Good day at the allotment. 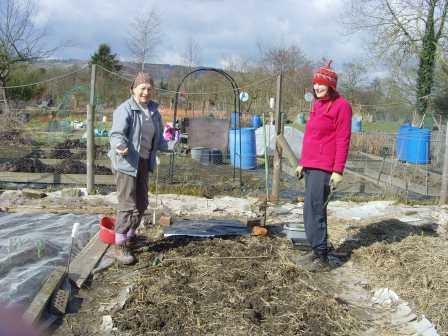 Last of the onions planted, mulched and covered with enviromesh.Caroline and Lesley survey their work! M ore beds made ready for planting up. 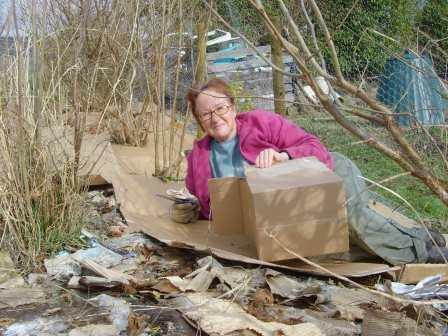 The paths are covered with paper and cardboard. 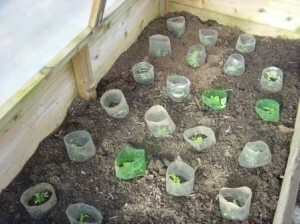 Next week we will weed the bed and add a layer of mulch so that we are ready to plant. The Hazel grove mulched. 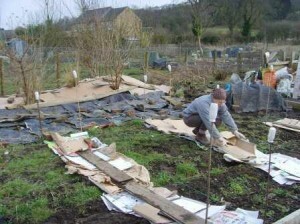 A quick weed and then a covering of paper and cardboard to suppress the weeds. The salad crops are coming on well in the cold frame.